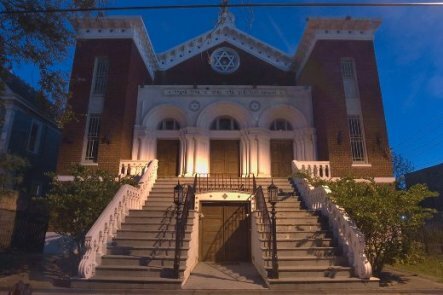 Anshe Sfard is an Orthodox Congregation in the heart of New Orleans. Located at 2230 Carondelet St., in close proximity to the Uptown/Garden District areas of the city, Anshe Sfard is just steps from several hotels and within walking distance of the Central Business District, the Convention Center and the French Quarter. The Synagogue building was built in 1926, and is listed as Contributing in the Garden District, National Register District. Do not use contact us link at the top middle of this page.